Comments: Blackhawk Lake has a nice population of Largemouth Bass with some larger individuals. The lake is aerated in the winter so the fish don't die from low oxygen. Frequent stocking is not needed at this lake because the fish populations are self sustaining. 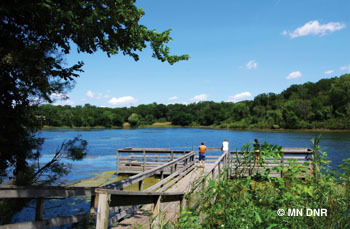 A DNR fish survey was conducted in 2010.